In the top 1% of realtors based on sales volume, Mark Jak is @properties Go to agent when looking to buy or sell a home in his native city of Chicago. A proud Lincoln Square Real Estate agent and a resident for more than 20 years, Mark has a complete understanding of the uniqueness and richness of each neighborhood on the north side of Chicago. His clients”who he considers partners throughout the entire process”come to Mark for his calm and collected demeanor; his nuanced approach to negotiations; and his reputation for tenaciously protecting his clients' interests. Real estate came naturally to Mark, whose family started rehabbing and selling homes in the Chicago suburbs at a young age. Mark is one of only 2% of Realtors who hold an Accredited Buyers Agent designation. Buyers appreciate his ability to temper their excitement with patience to help obtain the most value for the home of their dreams during the negotiating stage. In addition, once his clients move into their dream home they know they can”and do”call him years after the transaction to get advice on renovation projects or other home ideas. Sellers count on Mark to promote their home to the most qualified pool of buyers. Mark leverages a unique marketing platform that includes both online and offline elements to achieve ideal property exposure, which culminates in a 98% list to sale ratio. Mark's staging expertise has been featured in both realtor magazines and how-to videos. His clients often rely on his knack for tracking down the best, most affordable, tastiest, or friendliest spot in the area. To date, Mark has achieved over $100 million in career sales. 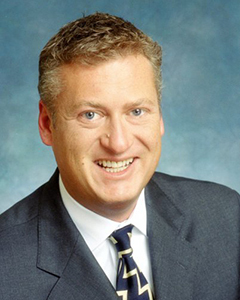 A Chicago Luxury Realtor, Mark is a graduate of The Institute of Luxury Home Marketing. Clients find that his creativity, diplomacy and analytical skills give them the edge in the ever-changing real estate market. His ability to stay one step ahead of foreseeable problems makes him an invaluable asset for buyers and sellers alike. Mark is an active member of the community. He is on the board of Chicago based Envision Unlimited, which helps individuals with disabilities by integrating clients into the community. Through his volunteer efforts he received the 2008 Volunteer of the Year award from ARC Illinois. Mark is also a proud member of the Lake View Rotary Club and a member of the Lincoln Square Chamber of Commerce. When he is not working or volunteering he spends time with friends in Chicago and at his cottage in Southwest Michigan, playing tennis, walking his pugs, and reading. "We met Mark through a business partner who was relocating to Chicago, and it turned out that we were his neighbors on the same block. Over the years we had a chance to get to know Mark and found him to be a very resourceful and good neighbor. When it came time to discuss listing our home for sale, he was the first agent we contacted, and ultimately our final selection. It took several months to list the property, and it was a very challenging time for us, but Mark was very patient and helpful with recommendations to help resolve the many issues that presented themselves. Mark exhibited terrific knowledge of our neighborhood real estate market and great expertise in setting a listing price based on comparable property sales. He also orchestrated many moving parts including the photos, staging of the interior and scheduling of the open house, followed by subsequent showings. We found Mark to be very organized and detail oriented - imperative qualities in a transaction of this type. We had a very strong response from buyers due to the excellent pre-market positioning and effort that Mark put into our listing, which resulted in multiple offers. The negotiations that followed were very technical, and Mark was a very strong negotiator and helpful in our favor. We are grateful for his professionalism, recommendations, support, patience, and good sense of humor during the long process of selling and moving from our home of 27 years. We very highly recommend working with Mark Jak. It was an excellent choice."